Before my hand injury, we had a fun night at our home of food and music. My daughter Taylor and her bandmate were here, and my husband joined them playing music on the guitar until very late. 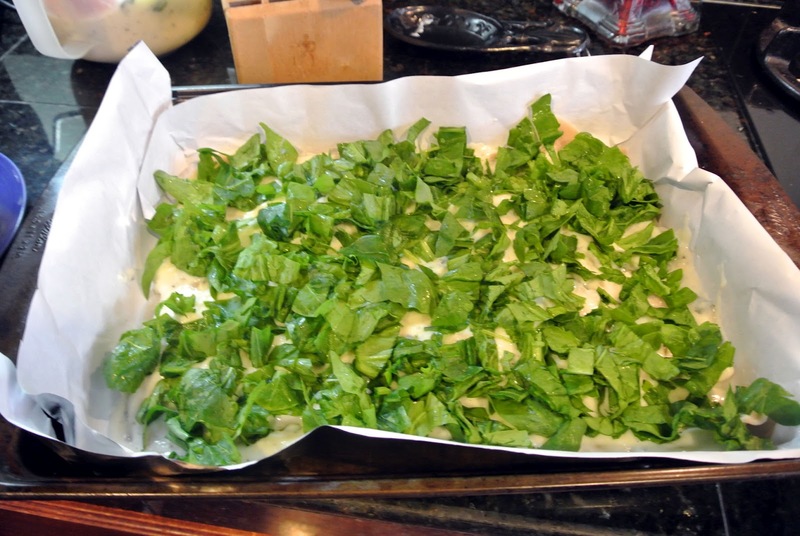 One of the things I made for dinner was Bacon, Spinach, Cheese Lasagna with Basil-Cream Sauce. 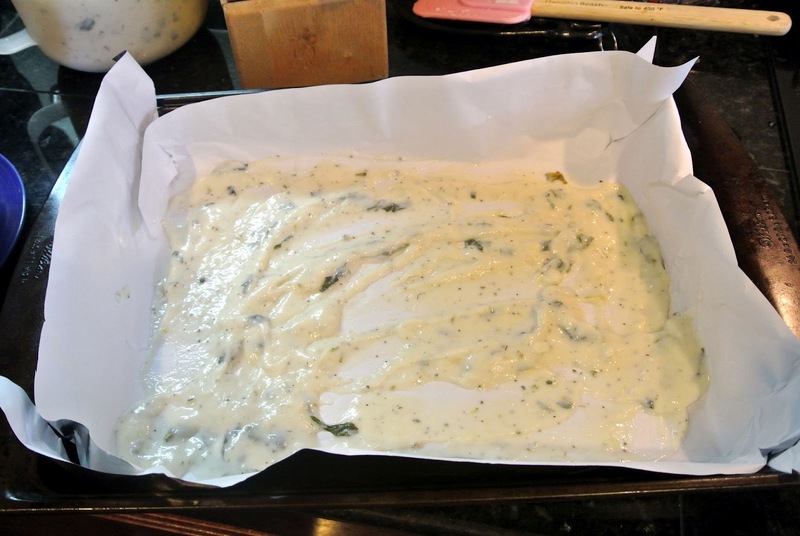 Preheat the oven to 400 degrees, and line a baking sheet with foil or parchment. 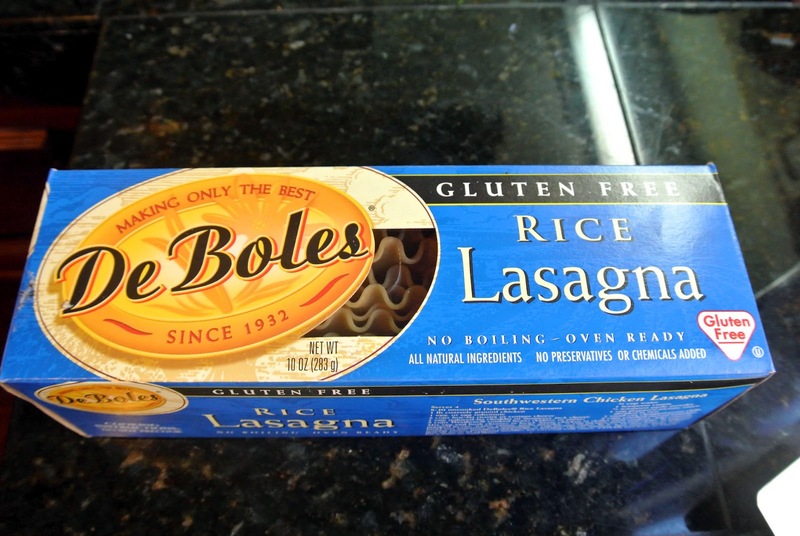 First I want to start by saying my absolute favorite pre-made lasagne noodle brand is DeBoyles. 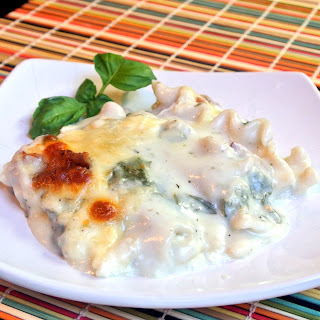 This is not a sponsored post, but I wanted to share with you what I use when I don't have time to roll out my own noodles. I get mine at Sprouts and keep it in the cupboard for a time that I am in a time crunch. 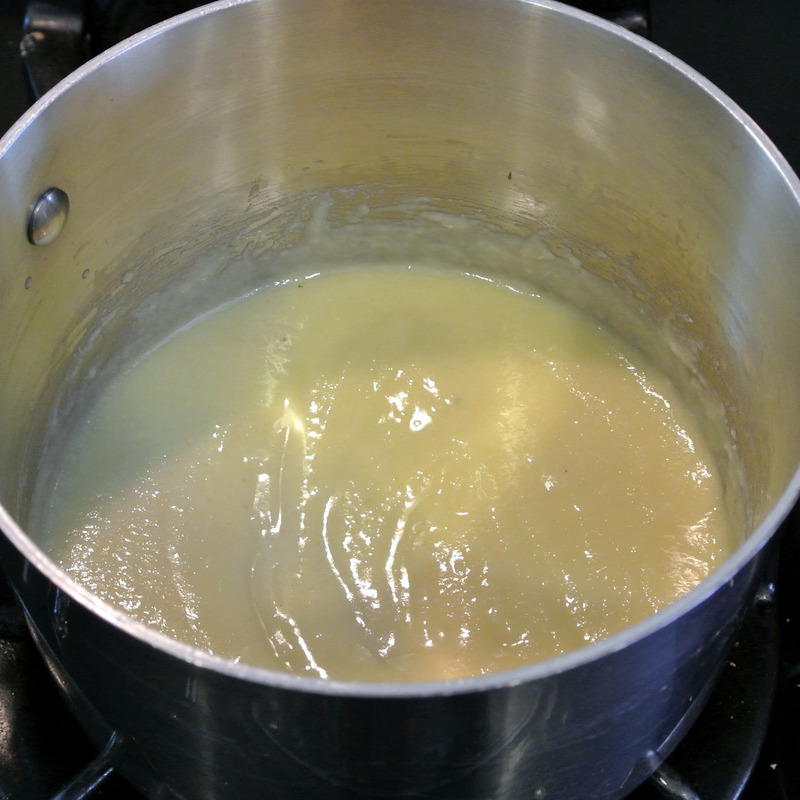 Next we start with the sauce. Add the milk to a medium-large pot and set over medium heat. 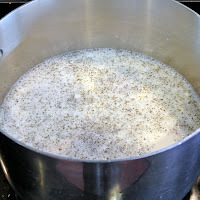 Add the chicken broth, the garlic, the salt, the Italian seasoning and the black pepper to the milk and whisk to incorporate. 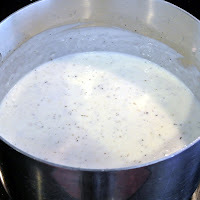 Allow the milk to slowly come to the simmer, being careful not to let it boil over, once it starts to simmer, turn off the heat. 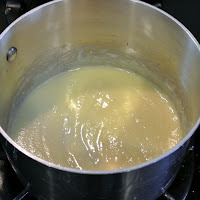 In another medium-large pot set over medium-low heat, add the butter and allow it to melt; once melted, add the flour and stir together to create a “roux.” Cook this roux for about 1-2 minutes, then slowly add the hot milk to this roux, whisking continuously all the time to prevent lumps from forming; once all milk has been added, whisk until you’re sure there are no lumps and the cream sauce is smooth; allow the cream sauce to very gently simmer, uncovered, for about 5-10 minutes to thicken a bit, whisking occasionally; after that time, turn the heat off from under the cream sauce, and whisk in the Parmesan, the lemon zest and juice and the chopped basil leaves; stir well to incorporate, and check/adjust the salt level, if needed; allow to cool slightly before using for the lasagna, or make a day ahead and keep in fridge until you’re ready to make the lasagna, at which time it can be reheated. 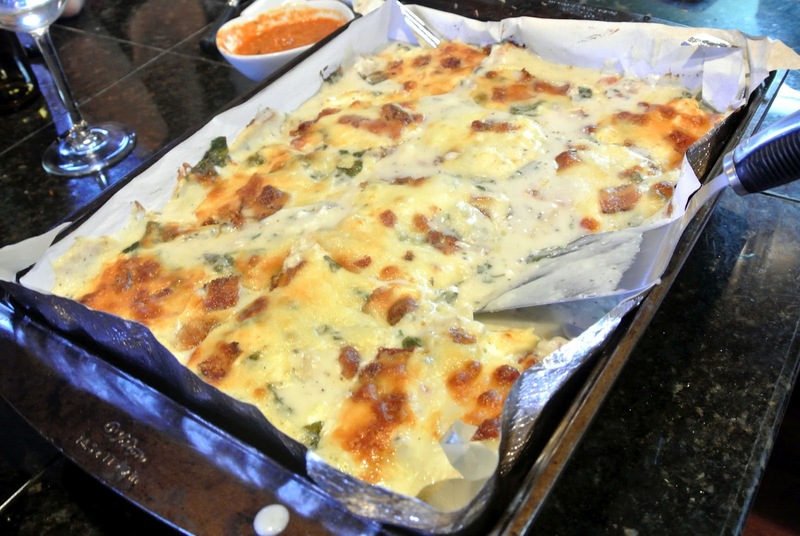 Using a large lasagne pan, add 1 cup of the Basil Cream sauce to the bottom of the dish as a coating, and then add 4 of the cooked gluten free lasagna noodles over top of the sauce. 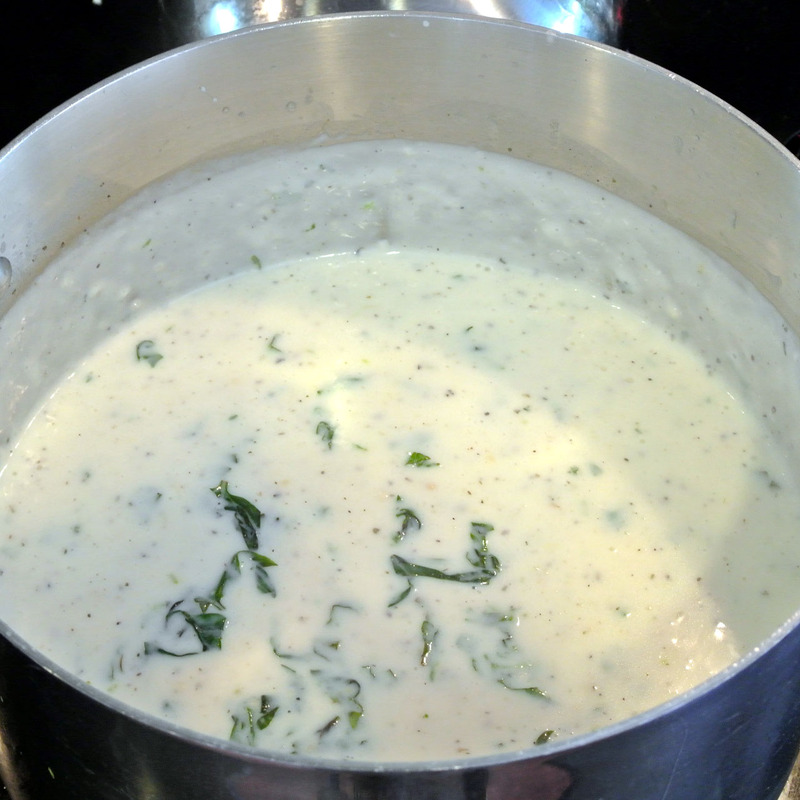 Next, add 1 cup of the Basil Cream sauce to the noodles, and spread to coat evenly. 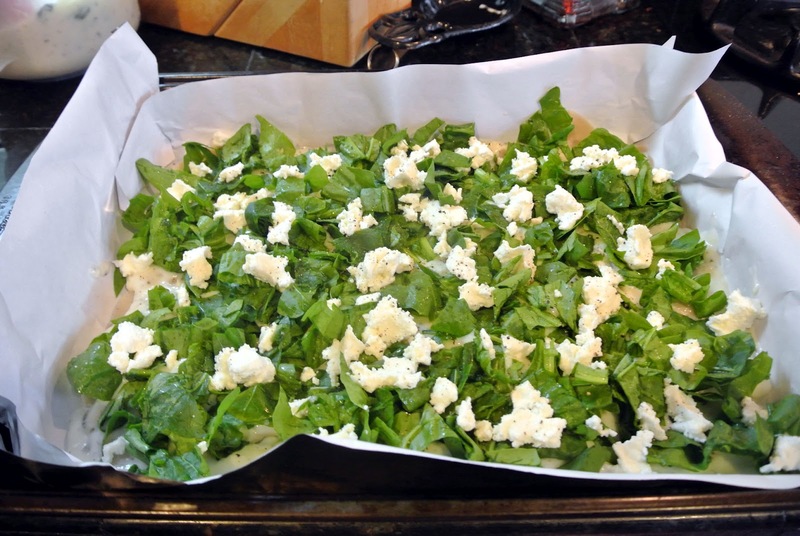 Next, add 2 cups of the baby spinach leaves in a nice, even layer, and then 1 ¼ cup of the ricotta cheese, in small, even dollops. 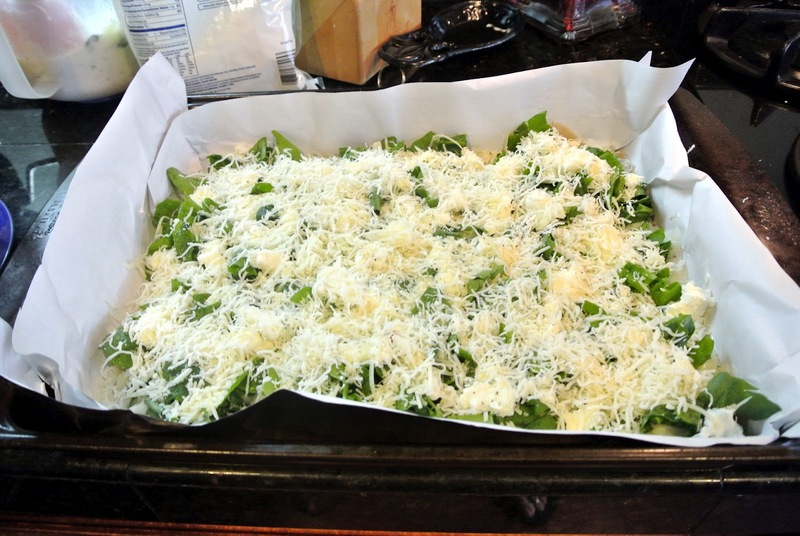 Next, evenly add ½ cup of the mozzarella cheese and ¼ cup of the Parmesan Cheese. 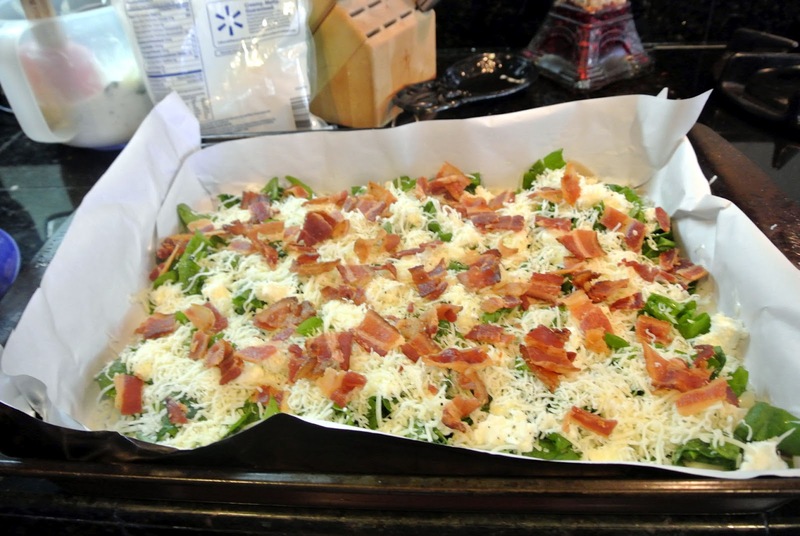 ¼ cup of the crisp bacon; sprinkle on a pinch of the salt. Repeat the layering process until noodles are gone. 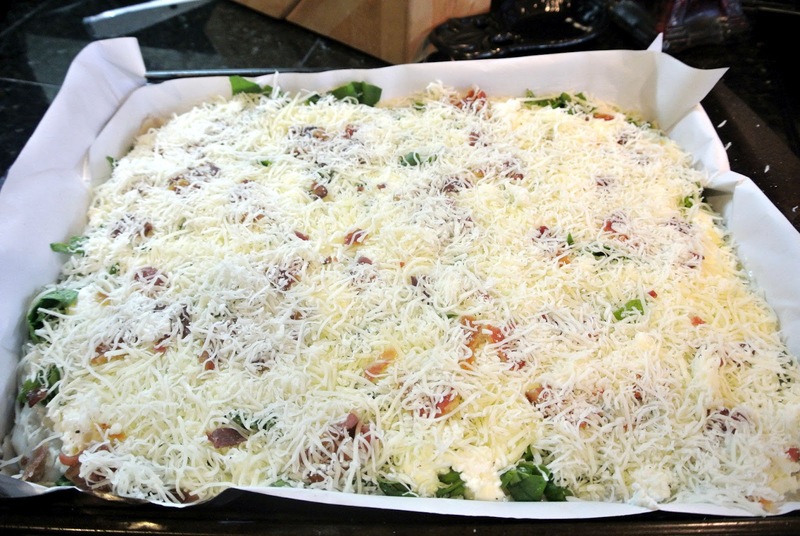 The final topping should be Cheese. 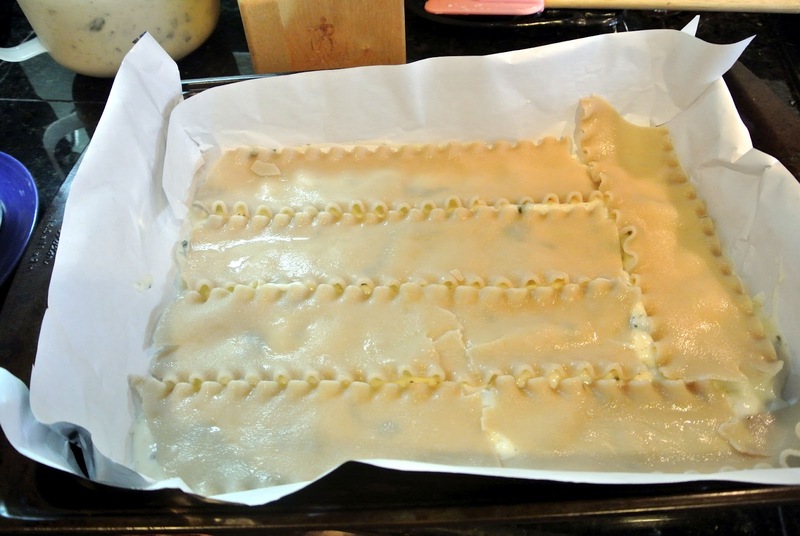 Place the baking dish into the oven to bake, uncovered, for about 30 minutes, or until golden-brown on top and bubbly; remove from oven, allow to cool for a few minutes before serving. Mmmm... creamy basil sauce. You have got yourself a winner here! !